In advance of The Association of Writers and Writing Program’s annual conference and bookfair, you can find serious tips and tricks for surviving it, and humorous explorations, such as this field guide. During it, you can follow literally thousands of attendees and exhibitors on Facebook, Twitter, and Instagram. Even I did a bit of #awp16 @undergumtree tweeting this year. And following the conference, of course, you can find everyone’s rundown of the panels they attended, the hands they shook, the swag they carried home and the colds they caught. It is a very exciting industry event and everyone has something to say about it. It inspires. It disappoints. It overwhelms. It builds. It agitates. It connects a bunch of the diverse people who are in this writing biz. This year, over 12,000 of us. This, my fifth AWP Conference, involved no air travel, fewer expenses, time in my comfortable (hybrid) vehicle with audio books, and lovely weather. The Under the Gum Tree/Fourth Genre event was a tremendous success by all accounts. While at the book fair, I was able to meet many writers that Gum Tree has published, prospective contributors and potential editorial assistants for Gum Tree, as well as current and former clients of Two Songbirds Press, colleagues from the Editorial Freelancers Association, and editors of other presses who have inspired me. Even though there is no shortage of media posts surrounding this event, I feel compelled to add one. I thought I’d change it up a bit and instead of writing about my experiences (although I did have a great time and am writing —inspired by a panel I attended), I asked some questions of two colleagues who attended the event for the first time this year. Gary: Gary is a long-time psychotherapist in private practice. He has two graduate degrees, one of them in literature, but has never formally studied creative writing until he became my client. He writes linked and unlinked fiction, and had never heard of AWP until I suggested he attend the bookfair this year. So far, he only writes privately. I am looking forward to receiving their responses and sharing them here! Professional Tip: Hire an editor to refine your language. Wait– maybe “refine” isn’t the best word for what I do, because most of my clients are average-Joes who don’t want to sound like they are drinking tea with their pinkies in the air. So because “refine” has this subtle unintended meaning associated with snobbery, let me find a better word to explain myself exactly. How about “clarify” or, even better perhaps, “sharpen”? Because who doesn’t want their language to be precise, to cut right to it, and to get the job done efficiently, like a sharp knife? What I did here in my first paragraph is precisely what an editor can do for your writing. An editor will sharpen the language you use to communicate with your audience. This might make some people fear that their personality will be cut right out of their writing. (And too many writers have had that experience with editors; it is true.) Doggone it—you want to sound like you! And if you’d never-ever use the word “doggone” in a blog post, no one should add it in an effort to “refine” your language. A good copyeditor will listen to your voice and maintain your personality while cleaning up wordiness and redundancy in the language of your post or web copy. Your casual voice, the way you talk, is completely fine for blogs and social media posts, which are intended to be friendly and build community based on who you really are. It is important not to come across as stiff or fake. But it is easy to miss silly things when we read our own writing. (Like using “also” and “too” at different ends of the same sentence.) So an outside professional is better equipped to notice the tics that make you who you are, and emphasize them; as well as notice the tics that make you look unprofessional (or idiotic) and eliminate them. A proofreader can make sure your autocorrect hasn’t added an auto-error, that you haven’t misplaced an apostrophe, that you haven’t used the word “tick” when you meant “tic;” or, (heaven forbid!) “there” when you meant “their” or “they’re.” These are things that should have been eliminated from your writing by ninth grade, and these errors poorly reflect your professionalism. If you’re interested in learning more about what an editor can do for you, you may want to visit the Editorial Freelancers Association, or, head over to my Contact Us page, follow the directions for completing TSP’s Editorial Services Survey and I’ll get in touch with you. I thought I’d post a quick rundown of what’s been keeping me occupied lately, and what I’m looking forward to in the near future. I continue to work with short-story and novel writers to hone their craft. One is working on a series of connected pieces that we are putting together as a single collection, a novel-in-stories (a la the much-discussed Anthony Marra’s The Tsar of Love and Techno). I find this kind of work engaging and tremendously fun. Please feel free to fill out an editorial services survey and reach out if you would like to consult with me about your writing. I have a spot or two available. Speaking of Anthony Marra, I recently attended a CapRadio Reads event featuring this fine crafter of prose. He is not only brilliant, but also charming. My colleague Kate Asche released her book of poems (Our Day in the Labyrinth, Finishing Line Press) at a reading at a well-attended Sac Poetry Center event. Also, Radio Silence (currently on hiatus- boo!) hosted Elvis Costello in San Francisco; a great event in conjunction with the release of Costello’s memoir. So, I’ve been getting out a bit. I’m enjoying engaging with musician-writers and other music-aficionados on Twitter @Sacramentorobin. Rock and roll memoirs and biographies are almost an obsession of mine. My pet department at Under the Gum Tree is the Soundtrack category, where I get to work with writers for whom music holds a special place in their hearts. That’s where I worked, for example, with the terrific Samuel Autman (watch him rocket to greatness!) when he wrote about Donna Summer. At Under the Gum Tree, things continue to grow. Pick up a print copy for your coffee table. Send your creative nonfiction to us! And if you will be at AWP 2016 in LA, be sure to stop by our booth at the book fair and come to our event (details TBD). AWP, of course will get its own posts here when the time comes. I am, as always, reading lots. Claudia Rankine, Eula Biss, Ploughshares, Writers’ Chronicle, Poets and Writers, Essay Daily, J.M. Coetzee, The Sun, Mother Jones, The New York Times. Etcetera. I just picked up Ursula K. Le Guin’s Steering the Craft, and am wondering how I ever missed it. Always learning, reading like a writer. Not so much writing, but lately the bug has been making me itch. I will be hankering down soon. Thank you for reading my blog. Remember, I’m here if you would like support with any part of your writing process. Don’t forget about tonight’s Google Hangout with Gum Tree Live, at 5 pm Pacific time. Here’s the Under the Gum Tree Facebook page. The link to the reading will be in one or both of those places. Please join us for a cross-continent live reading of true stories by great writers. I received my print copy of Issue 17 today. It’s a fat one– 108 pages! And it is, as always, beautiful. The art on the cover and inside are interpretations of poetic forms by Scott Helmes, an artist who introduced himself to us at AWP in Minneapolis. I was quite pleased to find his work had been selected by our Art Director. Make sure you check out Brad Guillory‘s piece, “Lyrics and Panic: The time my mom found my tapes and the devil,” it is really funny and perfect for October. He put a link to both of the TV specials he refers to in the piece on his website. And we have a 24-frames piece this issue, a real monster. It is so long, it really should be a Feature, but we’re thrilled to have Ben Winterhalter‘s amazing writing for this department. If you write true stories about film (or music or food! ), check out Under the Gum Tree. October is open submission month, which means there is no fee to submit. Please mark your calendars for #gumtreelive! On October 21 at 5 pm Pacific time, you can join a handful of our Issue 17 contributors on a Google Hangout as they read excerpts from their pieces to celebrate this new issue. More information is at the Under the Gum Tree Facebook page. As any Angie, Sarah, Daniel, Jude, Alison or Mandy knows, if there is a song with your name in it, you’ll hear it sung to you many times during your life. For me, I’ve had to live with “Rockin’ Robin.” I’m sure it was Bobby Day’s original being referenced by the older folks, and Michael Jackson’s rendition by the younger, but it doesn’t really matter; the question was always the same. I like to think of myself has having a dry sense of humor (some people will say too dry) and developed a standard reply to anyone who brought up the song. Recently, I was working with a client on a experimental-form memoir and helping her get ideas on how to find a potential home for her manuscript. Since I worked with Andrea Hurst Literary Management in 2009, I’ve seen a few transitions in the way calls for submissions/queries are communicated. It used to be that every year we pre-ordered Jeff Herman’s Guide to Publishers and Agents: A big FAT exhaustive and reliable PRINT guide to who was where and looking for what. We’d find an intriguing listing in the book, then find the website, then cross-reference industry news, then go to the website, and then pick up the phone (gasp) and talk to the editor to make sure what we were trying to sell was indeed what they wanted to buy. Targeted pitching. The right way to do things. I knew that any printed guide is not relied on heavily anymore, thanks to the up-to-the-minute accuracy of information a publisher can post on the internet, but what I learned this most recent time around is that even the websites are becoming more and more static. Updates aren’t always likely to be posted to the site in a timely manner. How is this information being conveyed? Wait for it. You can find me @sacramentorobin. It’s another tool for the #publishingindustry (See what I did there?) Something else that is helping with democratization and accessibility. And, it’s actually kind of fun. Just when you thought the steam had run out, Andrea Scrima adds more coal to the furnace. 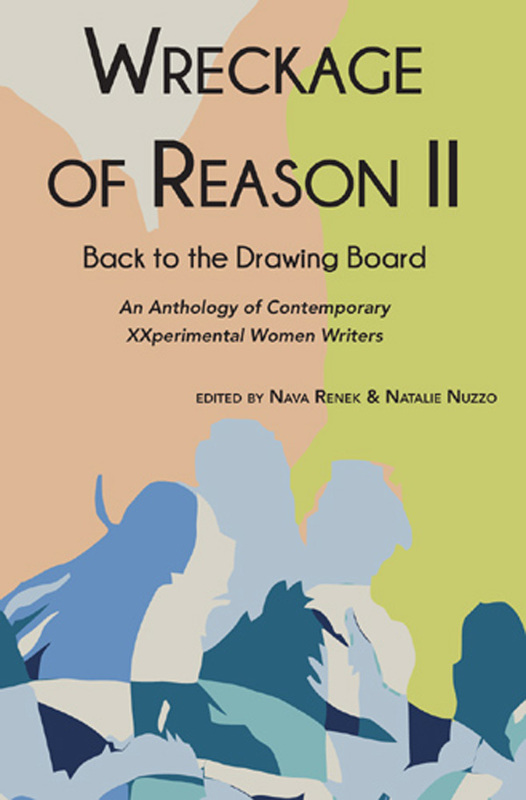 The blog tour surrounding the anthology of short works by experimental women writers (of which I am one) continues. Her conversation with Snežana Žabić and Margarita Meklina, two Wreckage of Reason II writers appeared in The Brooklyn Rail on July 13th. Read more in The Brooklyn Rail. It seems to me that a creative writing teacher would do well to incorporate this text and all of this gorgeous supporting material into the upcoming year’s syllabus. Feminism. Consumerism. Experimentation. Marginalization. And don’t forget: Fun. I’ve never much liked milestones. I know some people love them, live by them, use them to congratulate themselves on their accomplishments and admonish themselves to work harder in the future. Milestones to me mark one thing: the passing of time. And time is one of those few things I can’t control in my life. My mother’s retirement, my son’s departure from primary school, my husband’s first grey hair, his last brown hair. (My hair has miraculously gone blonde!) Last month, I got my first pair of reading glasses. Most of the people I tell this to have no sympathy for me, after all, I’ve had perfect vision for almost half a century. When I was twenty-three and teaching high school, I was pretty sure if I wore glasses the kids would shut up and listen to me, so I bought one of those fake pairs. For the hour I wore them, it didn’t help. Alas. And the lenses became smudged and couldn’t come clean. That was it for that. But now I have reached that milestone and find myself trying on 1.25 reading glasses any time I can find them in the checkout line. I need a pair by my computer, next to my bed, by the kitchen table, and in my purse for menus. And they are always smudged. My first pair of reading glasses. I have arrived. For me, this is significant. I cannot go back. Working harder won’t help me here. I didn’t do anything to get me to this place. Out of my control, it caused me severe panic for about three weeks. But it’s starting to settle in. I’m starting to accept this as a milestone, and maybe even like it. I find that it signifies for me an arrival, an organic movement into a place of experience and wisdom. Look at me. I wear readers. I’ve arrived. I love getting the email notice that the new Issue of Under the Gum Tree has arrived! It means, of course, that all of my team’s hard work has produced a thing of beauty that others can enjoy. It means that it is almost time to get to work on the next issue. And although I’ve already read every word between the covers several times, it means that my print copy will soon arrive, and I get to sit in the shade by the pool and read them all again. The publisher had an Amazon-related snafu recently where all of our subscribers were deleted and their subscriptions cancelled! Major snafu for a little lit mag like us. Each issue we just about cover our operating costs (we are a 100% volunteer staff!). Though Janna contacted every subscriber individually, most haven’t taken the time yet to solve the problem. Our goal is to reach 100 subscribers before Issue 18. If you’ve previously subscribed, then, yes, really, you do need to subscribe again. Sorry for the trouble. If you haven’t before, consider it now. Beautiful art and photography, stunning high quality design, and true stories. Issue 16 is available for your summer reading now. In it, you’ll find an excerpt from Nick Jaina‘s musical memoir Get it While You Can, as well as many never-before published pieces of literary magic.